Live life to the fullest. 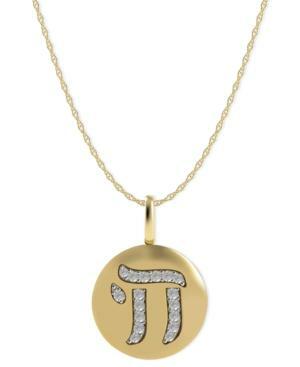 The 14k gold necklace features a pendant with the chai (or life) symbol made up of single-cut diamond accents, making it one to truly embrace. Approximate length: 18 inches. Approximate drop: 3/8 inch.